The Power of Storytelling is a conference built around the idea that we can learn to use stories to better our ways of communicating, but also change our worlds. The only one of its kind in Eastern Europe, it brings together superstar storytellers in all fields – from media, to arts, to business – to show the potential of stories to connect people, to heal wounds, to move to action, and to drive change. We believe stories are for everyone. This event grows out of our deep commitment to in-depth and intimate narrative journalism but it looks at the idea of storytelling from many different viewpoints. Over the years, our speakers have included multiple winners of Pulitzer Prizes, National Magazine Awards, Emmys, and other accolades. The participants it attracts are writers, producers, artists, techies, communicators, marketers, activists, entrepreneurs, and community leaders. Now in its fifth year in Bucharest, the conference is also hosting its second edition in Cluj-Napoca, a city full of stories. Alex is one of most important Romanian photograhers. Born in 1979, he published his first image when he was a teenager. He has been photographing ever since, and has been Published in nearly all Romanian magazines, for which he shot covers, editorials, and portraits. He also made advertising campaigns with local, national and international coverage. His work has also been part of national and international exhibitions in in Bucharest, Paris, Toulouse, Nantes, Rejkyavik, and Cork. You can see his work on his website. 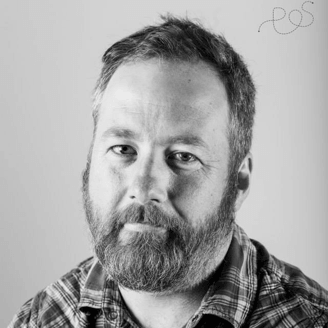 Chris Jones is a writer at large for Esquire and a senior writer for ESPN The Magazine. He has won two National Magazine Awards for his feature writing and two National Headliner Awards for his columns. He lives in Port Hope, Ontario, Canada, with his wife and two boys. He’s looking forward to his fourth (!) visit to Romania. Watch Chris’ speech on reporting from 2013. Watch Chris’ speech on writing from 2014. Dragoș is a communication coach, journalist and civic activist. Before getting his MBA from Stanford University, he built two of Romania’s most prominent NGOs: Save the Danube Delta and MaiMultVerde. He has 12 years of experience as a columnist for national newspapers and magazines, and has produced and presented TV shows for public and private TV channels. He trained more than 1,000 managers in public speaking, interpersonal communication and storytelling, and was awarded “Best Training of the Year” at the Business-Edu Awards Gala in 2010. During the past year, he served as Communication Adviser to the European Commissioner for Regional Policy. Find out more about his current work. Journalism wasn’t Jacqui Banaszynski’s first career choice. She had aspirations to be an athlete, but grew up before Title IX gave girls equal access to the field. She dreamed of being a commercial airline pilot or astronaut, but was handicapped by height and gender. She probably should have been an architect, but in her rural school district in the 1960s, girls weren’t allowed into shop class where she would have learned drafting. So she joined the high school newspaper staff, got the keys to the school car … and the rest is history. Jacqui spent the next 30 years as a reporter and editor for newspapers in the Upper Midwest and Pacific Northwest. She has filed stories from all seven continents, including Antarctica. She has covered beauty pageants and popes, AIDS and the Olympics, dogsled expeditions and refugee camps — not to mention a constant run of planning commission and sewer board meetings. She came of age in the modern women’s movement, covered some of its crucible events and benefited from the battles fought on behalf of women everywhere. She won the 1988 Pulitzer Prize in feature writing for an intimate series on a gay farm couple dying of AIDS, and was a finalist for the 1986 Pulitzer Prize in international reporting for her on-the-ground coverage of the famine in sub-Saharan Africa. She won the Associated Press Sports Editors’ deadline reporting award for coverage of Greco-Roman wrestling at the 1988 Olympics and has edited several award-winning projects, including winners of ASNE Best Newspaper Writing, Ernie Pyle Human Interest Writing and national business, health, social issues and investigative prizes. She now is a Knight Chair professor at the Missouri School of Journalism and an editing fellow at the Poynter Institute. She coaches reporters, writers and editors around the world. 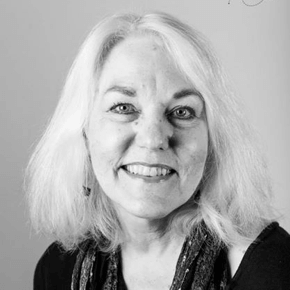 She remains loyal to the Green Bay Packers, hikes along Lake Superior and the high Cascades, believes in the healing powers of gardening and listening, and is always on the lookout for a good story. Read her work on her website where she writes about journalism, craft and life. Watch Jacqui’s speech on listening and interviewing from 2014. Watch Jacqui’s speech on the power of stories to reach people from 2013. Starlee is the host and producer of Mystery Show, one of the most popular podcasts in the world today. Her radio stories have also appeared on This American Life, and she’s also written for the New York Times, the New York Times Magazine, and Capital New York. She’s also designed a cutting board for chopping onions on while heartbroken; written the saddest cartoon you’ll ever see about tattoos; dispensed anonymous advice to subway and bus riders; been one half of Starlee and Arthur Review, the first animated series (probably) done on Post-It Notes. This is her return trip to Romania – she spoke at the conference in 2012. Download full scheduleNote: Schedule is subject to change. Participants will be notified in advance. Just as structures are built of timber and brick, stories are built of ideas and words. An award-winning writer, editor and teacher shares her techniques for finding the necessary raw material, then assembling it to create true stories of all shapes and sizes. Stories play a crucial role in the making of a public figure. But why do some stories stick, while others don’t even live to see the end of a news cycle? Why are some public figures seemingly immune to otherwise lethal stories while others succumb to the smallest gossip? This talk will discuss who controls what in the process of telling stories about people we all like to talk about. Starlee Kine will talk about how becoming a detective taught her a new way to tell stories. She will break down the components that goes into making an episode of her podcast Mystery Show. Renowned photographer Alex Gâlmeanu will talk about the stories behind images – whether it’s the storyteller or the public that creates them, and how that influences his work. After a lifetime spent in the company of storytellers, and telling stories, Chris Jones reflects on the importance of the words we choose to share with each other. 20:30 How about some drinks? LATERAL is a design & technology studio based in San Francisco, with presence in UK and Romania. They are long-time collaborators of DoR and returning as sponsors of The Power of Storytelling. Dacia is the main car manufacturer in Romania with a presence of 47 years in the automotive landscape. Today, it is the first export company of the country and the one with the biggest turnover. Since 2004, more than 3.3 billion clients from 44 countries around the world bought a Dacia vehicle. UniCredit is a leading banking Group in Europe, with a major international banking network in Central and Eastern Europe. This is their third year supporting The Power of Storytelling conference. With more than 60 years of aviation experience, TAROM is among Romania’s most beloved brands. 2015 found TAROM as an online settled presence. This means we aim to please our most demanding target: the passenger! We have closed the registration process, as we’ve booked all the spots. As we double- check attendance with the participants some spots might open up, so we’re putting together a waiting list. E-mail Ioana at lepadatuioana@gmail.com with the subject “Waiting List” to be on it. If spots do open up, we will offer them in order. Thank you for your interest, and do follow the conference on Facebook, Twitter and the Cluj Edition event page.